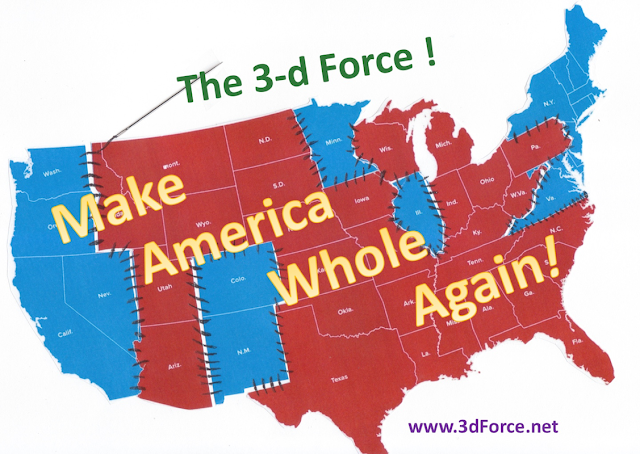 The3dForce: An Open Letter to Mr. Tom Steyer. I believe in your genuine intention to oppose Trump’s and his supporters’ and followers’ agenda. But I hope you understand how low is the chance for the impeachment. I hope you are using this campaign as an instrument to propel your own political agenda. And I hope your political agenda is not necessarily “democratic” but “progressive. Because I, and millions of Americans, see the difference between the Democratic party and the Progressive movement. Naturally, there is a large area of overlapping, but until the current establishment of the Democratic party remains at its helm, millions of Americans will not trust in the ability of the party to defend the needs and hopes of working class. You represent a force which is making changes inside the Democratic party. But I the change comes slowly, and may not come fast enough to affect 2018 elections, so I would suggest to have a backup plan. Beating the Republicans in the Congressional elections is NOT the same as making the Democrats to win. Naturally, a democratic candidate should run against a republican candidate – in every possible election. But in addition to a republican candidate and a democratic candidate a third candidate needs to run as well. A “third” does NOT mean a “third party”! If may be an independent, or a member of another party – that does not matter. What matters is that the third candidate must “steal” voters from a republican candidate. I call it the third force approach. Depending on the specific election and who would voters like more – the democrat or the third forcer – two/three weeks before the election day the two “anti-republicans” should sit down and decide who will be running to the end. If needed, they can toss a coin. But the one who steps down must call the supporters to give the votes to the one who remains in the race. Your NextGen America organization can play a crucial role in organizing the 3d Force effort/movement.